If Money Were No Object, Where Would You Go? 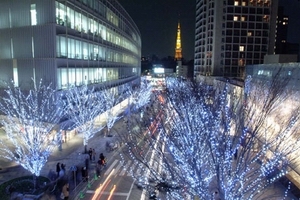 Bloomberg.com reports that Tokyo has slipped off the list of Top Ten Most Expensive Cities. It’s now only the 13th priciest place for expatriates to live. Before you pack your bags, that doesn’t mean it’s cheap! My mouth waters just thinking about how delicious the food is in Tokyo, though. People who live there eat out 3.6 times per week. For me, it would be every night. And if I had an extra $1,500 lying around, I’d head straight to Aragawa in the Shinbashi District, and order some Kobe beef ($400 per plate), seasoned with pepper and mustard. 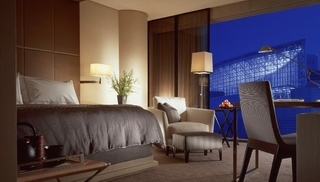 Then I’d spend the night at the Four Seasons Hotel in Marunouchi. Each suite comes with wi-fi, a 42-inch plasma screen, a satellite dish, interactive television, twice-daily housekeeping, and 24-hour dining, all for the low, low price of $550 to $950 per night. What would you buy in Tokyo if you had unlimited cash? Perhaps a fantasy car? Judging by the festive commercialism, Christmas is upon us. It may not snow in Los Angeles, but when there’s a signpost at the mall heralding the arrival of “hunky Santa” you know something’s around the corner. 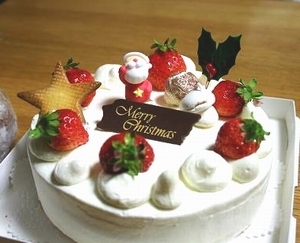 In Japan, Christmas is harder to figure out. There’s a fair share of reindeer and candy canes in the storefront but come December 25th people are still grinding numbers at work. In Los Angeles, the entire city shuts down. I was never lucky enough to have a date on Christmas Eve. One year, I found myself hanging out with the lonely hearts club, in fact. A group of us hit up a kombini for booze and dried squid and then laid under a kotatsu (electrically heated table) all night watching comedy shows. In the morning, my breath reeked of something nasty. In hotels and office buildings across the U.S., you’ll be hard pressed to find floor number 13 or room number 13. (Sometimes they cheat and call it 12A.) 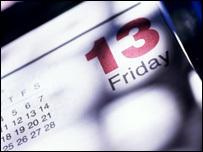 Friday the 13th is the unluckiest day of the year. Fear of 13 is called triskaidekaphobia. In Japan, number four is considered unlucky. This is partially because the word for four, shi, is pronounced the same way as the word for death. For this reason, you’ll rarely see room number four in hospitals. Number nine (ku) doesn’t fare much better: ku also means pain or even torture. If you’ve ever gone to a Japanese restaurant and stuck your chopsticks upright into a bowl of rice, now would be the time to stop; it’s considered bad luck (and unspeakably rude) because in funeral ceremonies, chopsticks placed vertically in a rice bowl are an offering to the deceased. If you’re photographed in the middle of a group of three, suffering is sure to follow. Whistling at night may cause a thief or a snake to appear. To prevent injury to your parents, you must tuck your thumb (the “parent-finger”) in your fist when a hearse drives by. Also, you should never clip your nails in the evening, or you won’t see your parents when they’re on their deathbeds! Now for some good news: in Japan, the color red is known for expelling demons or disease, so as long as you’re wearing red when you see a black cat cross your path, maybe you’ll cancel out kitty’s bad luck. Aquatic Mammals: Cute or Tasty? To the ire of the international community, this month a Japanese boat set out on their yearly hunt in the Antarctic Ocean for the world’s largest mammal. And for the first time in nearly 50 years their expedition will include the cherished humpback. The trip has garnered so much criticism that a chain of European aquariums has decided to remove Japanese goods from its stores. Others are sure to follow. Another protest took place last month in Taiji, Japan, this time against the slaughter of dolphins. The group, which included pro surfers and two actresses including “Heroes” star Hayden Panettiere, paddled their surfboards right up to the fishermen in mid-slaughter. Of course the hunters, not caught up on their TiVo queue, seemed to care less who these people were and vehemently denied their appeal by the raising of their pitchforks. 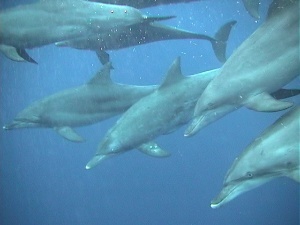 The Japan Fisheries Agency defended both whale and dolphin hunting as long-held tradition, with organized whaling beginning sometime in the 1600s. Ironically, it’s said that industrial whaling only really took off during post-WWII occupation days. The U.S. government encouraged the practice as a source of food. Naturally, the local whaling towns have taken a prideful stance against all those who invade their territory unannounced and harp on emotional issues they sympathize little with. After all, whaling is all they know. Personally, I’m on the fence about this issue. As an animal lover, I feel for those highly intelligent mammals destined only to become somebody’s four-course sake accompaniment. At the same time, I applaud the hunters for not folding under international pressure. For a good portion of the 20th century Japan was considered one of world’s most dangerous nations. That status ended once U.S. occupational forces took over. But alongside defeat came down the nation’s psyche and any semblance of cultural backbone. You see it today in the way many Japanese bow down to international influence whether it by welcoming in the umpteenth McDonalds chain or with the hesitation to salute your own national flag. It’s become so much of a concern that in a hundred years you wonder what Japanese traditions will remain. Japan = Pokemon?! Just maybe. So good luck to the fishermen for fighting for what they believe in. Mammal meat may be gross, but if that’s your thing then stick to it. Yahoo!Finance reported earlier last month that personal computer use among Japanese has fallen. From the first quarter of 2006 to the first quarter of 2007, shipments of PCs to Japan fell 6.8 percent. And in the second quarter of 2007, desktop shipments fell 4.8 percent and laptop shipments fell 3.1 percent. Another popular function of Japanese phones is scanning QR Codes, which appear in magazines, stores, product boxes and posters. They look like square bar codes but actually contain a wealth of information like URLs, addresses, and more. 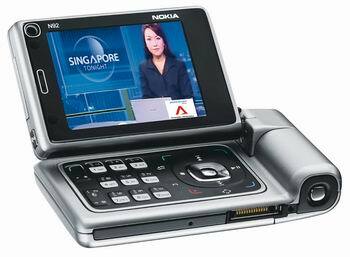 To the naked eye they look like gibberish, but phones read and translate them on the go for later use. No wonder desktop computers seem cumbersome in comparison. What does this mean for the PC market in Japan? Well, nobody’s throwing their laptops out the window; they’re simply not upgrading them, preferring instead to spend money on other gadgets like new flat-screen TVs or the latest game consoles.